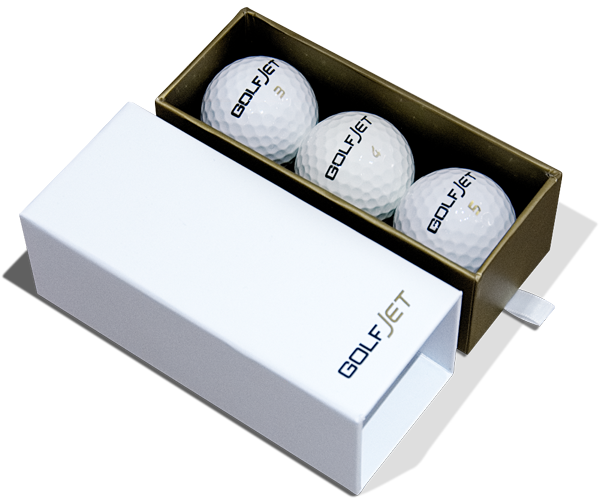 JET3 Golf Balls are engineered to suit higher swing speeds (90mph+) and will have a flatter trajectory flight path. Designed for carry and longer drives for players with a higher club speed. Around the greens, the JET3 will generate tremendous spin from the mantle layer activation and club face grip of the super soft urethane cover. The JET3 is approved for global Pro Tour use by the R&A / USGA. Beginning with the Power Core, the coefficient of restitution (COR) is tuned to activate from high club head speed at impact. Also known as smash factor, a highly tuned COR will deliver longer drives. The homogenous JET mantle layer creates tri-axial balance, by ensuring the core is spherically concentric, therefore optimising flight stability and spin side reduction. The mantle layer also promotes enhanced approach backspin by translating the axial rotation of the cover at impact. A thin urethane layer is formed over the JET mantle at 300o Celsius. The characteristics of the proprietary composition provides a durable yet soft ‘feel’ for ultimate control. At impact, across a range of swing speeds, the cover interlocks with grooves on the club face, to amplify spin velocity – up to 13,000rpm. 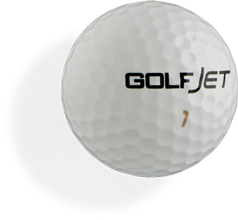 A JET3 Sleeve is a great option to try out the JET3 golf ball. It also makes a fantastic gift and premium addition to any corporate or charity golf day.